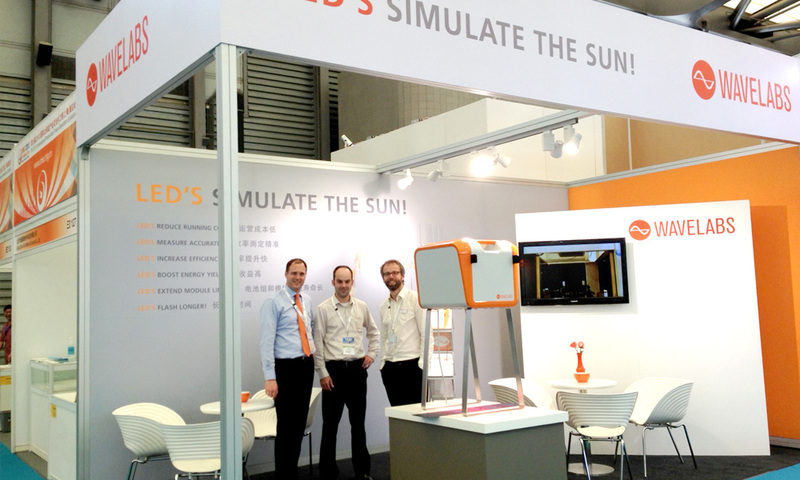 The first WAVELABS trade fair presence: From 14th until 16th May 2013 we presented our sun simulator SINUS-220 at the SNEC, Asia’s largest photovoltaic trade fair. The resonance in the expert community had been overwhelming. 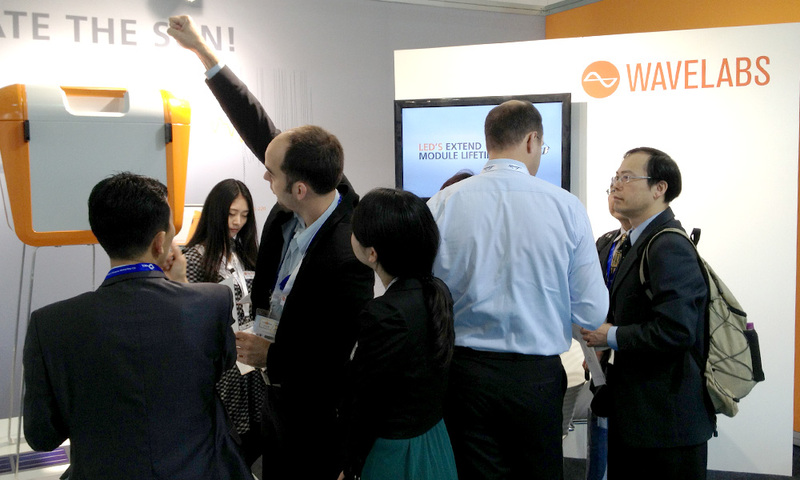 Besides many fruitful conversations with numerous cell and module producer and testing centre, TÜV Rheinland awarded us with the unofficial title “most innovative product of the fair”. 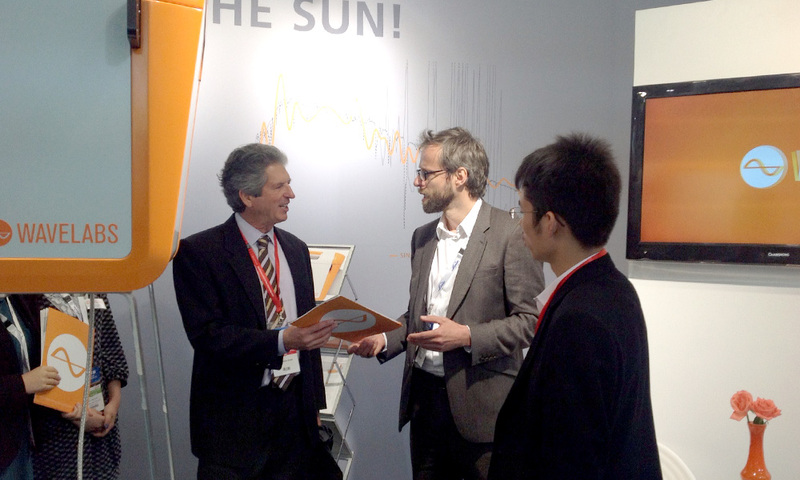 When Professor Martin Green, Research Director at the Centre of Excellence for Advanced Silicon Photovoltaic and Photonics at the University of New South Wales in Sydney and leading solar scientist, visited our exhibition stand and also demonstrated his interest in the SINUS-220 – that exceeded all our expectations. The days in Shanghai had been exciting, diversified and successful. Our special thanks go to Olaf Maurer, the designer of our exhibition stand and to our enchanting hostesses Katrin and Yimin for their great support.